The hands of two men are tied on a rope from each side. they are made to stand n glasses. Blood is coming out of their feet. There is fire all around. a soldier walks in. I have been sent by Kichak to question you. You wont be able to walk if you don’t tell us about him. They say they don’t know anything. The soldier picks up hot knife and hurts them on their chest. They scream in pain. Another soldier says we just got info about the third trader. Someone killed him, but why? The soldier says only Kichak will know. I only know how to follow rules. He kills both the men. Kichak says, those who are no more useful to us become a burden. Sushim is angry with Ashoka. He cannot win this time. Mahamadhya says you only wanted Ashoka to go to Takshshila. He only proposed to go. You should be happy instead. Sushim reasons that Ashoka has a reason this time to go. He dint get emotional at all while making his decision. I said the same thing last time but he wasn’t ready to leave his mother alone. What happened now? How did he got so emotional about motherland suddenly? Something has certainly happened. Charu says it doesn’t matter. You will get a chance to come close to your father. I too will not leave this opportunity. I will separate Samrat from Dharma. Ashoka is in the temple. He recalls Acharya’s last words to him about his dream of united India. His words echo in his head. I never thought that I will go so far leaving my mother alone. Truth is, not just mine but entire Magadh’s mothers’ will be unsafe if I don’t go. I have no other option than this. I will have to make this sacrifice. Please give me strength. My mother’s love for me should make me strong, not weak. Siamak keeps his hand on Ashoka’s shoulder. I know how you must be feeling. I know how hard it is to live without your mother and Guru. I too had felt the same when I had lost my Guru Justin. He had to die before me. I could do nothing to save him. I know how helpless and unsafe you feel. You too must be going through the same phase. I used to hear his last words all of a sudden. I think of my mother at times. She left her son all of a sudden. Why did she have to do all that? She should have thought of the consequences. I always think that I will understand her position the day I become something. I know that evil gets an evil ending only. Good always wins. No one can replace your mother. Similarly, no one can fill in my mother’s place. Yet, I will always take care and look after Mata Dharma. Ashoka is very thankful to him and relieved. I only trust you. He hugs Siamak. Helena comes out from behind. Siamak and Helena look at each other. Siamak thinks that Ashoka is not coming back. If, by chance you do, then there will be nothing left for you here! Dharma is packing Ashoka’s clothes. A Daasi bring laddoos. She is in tears. She thinks of the old times when she used to feed laddoos to her son with her own hands. Ashoka comes there so she wipes her tears. She is a little upset with him for deciding to go to Takshshila without even telling her. I know you want to help them. I know it is important for you to go there. He asks her why she is sad then. She replies that you don’t think about your mother while making any decisions of your life now. You dint even tell me later. You have grown up now. He keeps his head in her lap. I can grow up but I will always be your kid. The situation was such that I had to decide this. my journey ahead isn’t easy. It is very tough. But you are my strength. You will guide me throughout. Your values about righteousness, dharma will help me. Dharma-putra cannot help but follow dharma. She cries as she caresses his hairs. I never stopped you from following dharma. My only worry is, hope you never hurt an innocent person. Ashoka says I will not forget your values to achieve something in life. I will become protector. I promise you, I will never hurt an innocent person. A soldier comes to call Ashoka. You have been called by Samrat. Ashoka leaves. Bindu wants to discuss the plan of action with Mahamadhya. Radha Gupta suggests him otherwise. Ashoka wants it to be amongst us three only. 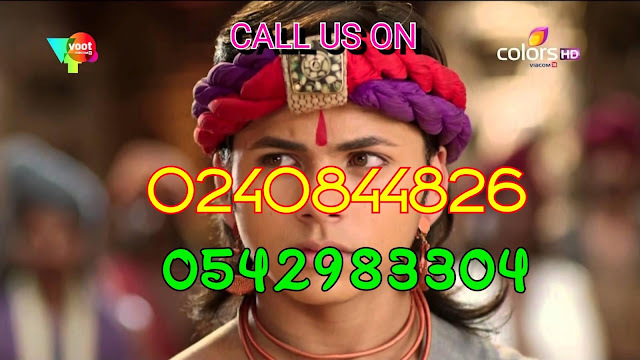 Kichak has got info that Sushim is coming whereas we are sending Ashoka. Ashoka adds Chanakya’s words. You get more successful if you keep your plans a secret. We have to make sure there is no loophole. He explains his plan of action to Bindu. We will have to take the way which normally traders use. There is a possibility that Kichak will get to know about our arrival. He might try to kill us. We have to protect ourselves. We don’t have any idea about his army and men. If war starts near the exteriors then all the people living there will die. Bindu asks him what he has thought. Ashoka hints at the sea route. It is tough to attack that ways. They will take days to be successful even if they try. I will enter inside Takshshika before that. Bindu reasons that it will be a problem for them. In case, either of us want to contact one another then it will be a next to impossible kind of situation. Ashoka says this is what no one will expect from us. I want to make use of it and surprise Kichak. Bindu is worried for Ashoka. How will you do it alone? Ashoka says the one who has the blessings of his Guru and parents is never alone. Bindu blesses him. Bindu gives a letter to Helena. She supports his idea. You should take care of internal security till the time we find someone who we can rely upon. Bindu nods. The soldier guarding the cells reads the same message and allows the soldiers inside. He opens a secret passage. The soldiers kill those guys and enter inside. A man is kept tied there with chains. The soldiers free him. They take him to some other place. Later on, Helena meets that man. Flashback shows Helena bribing the soldiers. She wanted to know about Amadhya from him. He is the one who had spoken against CHanakya in the past. His name will be written in history as a black stain / traitor on Magadh’s history. Flashback ends. Helena gives him the good news of Chanakya’s death. The man thinks of Chanakya again. He refuses to believe it. how can he die without losing to me? I only needed one chance. I will be defeated before him for life now. It is not a good news for me! what’s the point of this life if there is no opponent like Chanakya against you? My life has lost its meaning! It is better to die instead. She calls out for him as he begins to walk away. Chanakya died but his life isn’t over yet. He is the name of a thought, a dream, a mission. You can end it and be victorious! The real win will be when the world will forget him. It can happen only if you will make a better place for yourself than him. You will have to end the 3 princes of Magadh for that – Sushi, Drupad and Ashoka! You have to end all the possibilities of letting any Maurya rule in future. He asks about Siamak. She shares that her grandson has the mixed blood of Unani and Khurasani. He isn’t a Maurya! This was Justin’s last wish. I need your help for the same. I can give you anything in return. Amadhya gets thinking.